It seems Highlight member Kikwang's military enlistment is fast approaching. On October 30, Kikwang wrote on Istagram, "Just as Dongwoon said, being able to wrap up my final broadcast recording on the same stage where we held our first major broadcasting station debut is really, very meaningful. I was once again very thankful for you all." 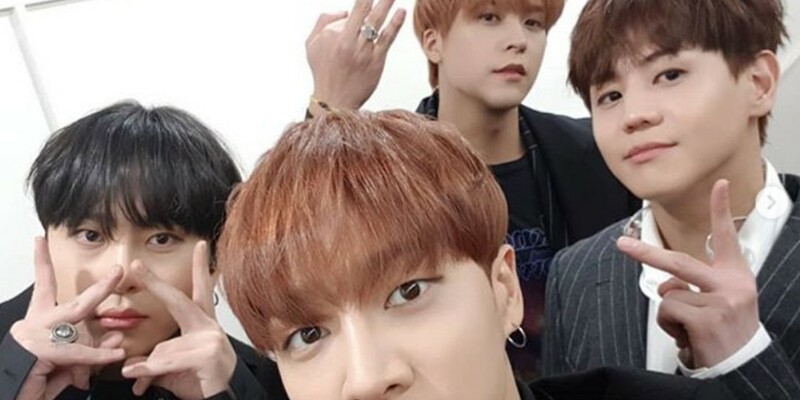 In the accompanying photos, Kikwang can be seen posing with his fellow Highlight members Yoseob, Junhyung, and Dongwoon, as well as on his own. Currently, Highlight's Doojoon has already enlisted, while Yoseob's enlistment date has been confirmed for January 24. It's very likely that Kikwang's enlistment date will be very close to, or even before, Yoseob's date next year. Meanwhile, the members of Highlight likely wrapped up a recording for KBS2's 'Music Bank', the same program they made their major broadcasting station debut as B2ST. ?? ???? ???? ? ??? ??? ? ?? ?? ? ??? ??? ??? ? ? ???? ? ? ??? ?? ??? ??? ?? ????? ?